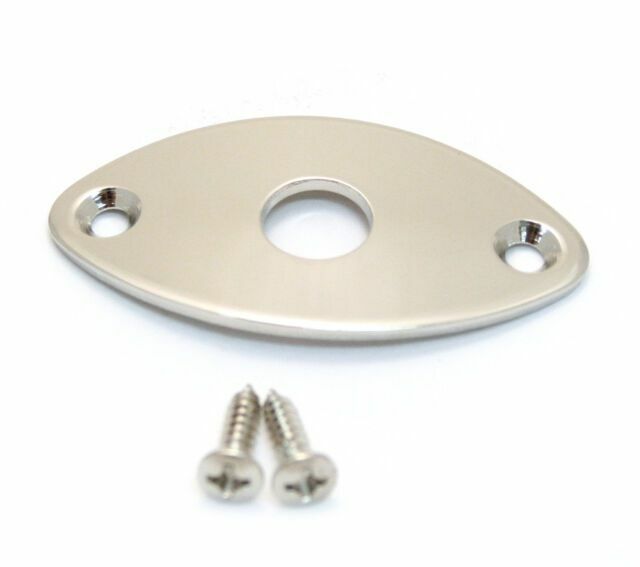 Gotoh Jackplate for Edge Mount - Football shaped, Nickel, with screws. Jack hole diameter is 3/8" (9.5mm). The mounting screw holes spacing - 1-7/16" (36.5mm). The jackplate has a slight curve to match the body's curved sides.